Inexperienced players tend to think playing online slots is all about hitting the Spin button and waiting for the outcome when the reels come to a stop. There is nothing players can do to influence the outcome of the reel spins, understanding the payout percentages, the odds of winning the biggest prizes and how winning combinations are paid out. However, taking decisions about the paylines is very important if one wishes to turn a greater profit when playing the slots. Those, who are new to this type of casino game should take a look at the following article in order to become better acquainted with how slots payouts work. Checking the paytable of their preferred online slot is the first thing players are recommended to do before they proceed with real-money wagers. The paytables might appear intimidating to inexperienced players but generally, they are not that difficult to understand. 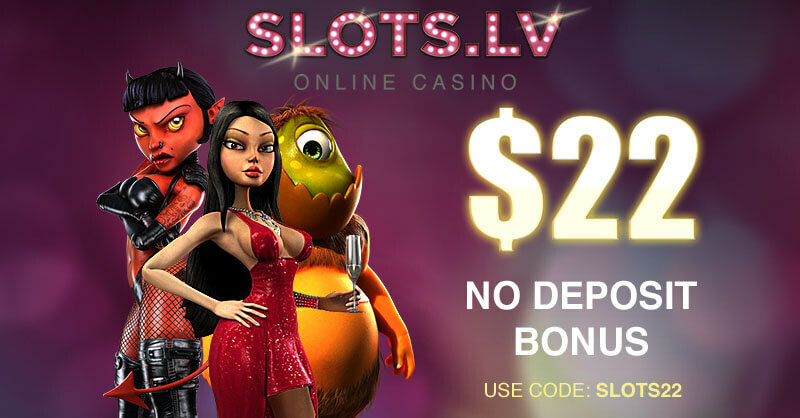 However, it is important to mention that paytables might vary significantly from one online slot to another because different slots boast different features and different winning combinations. The first section of the paytable generally contains information concerning the winning combinations and how the symbols should appear on the available paylines. The paylines take on all sorts of shapes as they can be vertical, horizontal, diagonal, zigzagging, V-shaped – you name it. 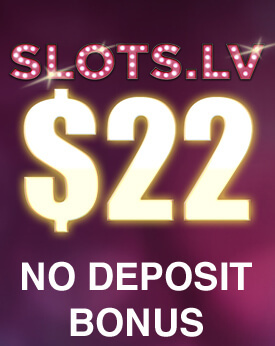 All symbols that are used in a given online slot are also listed in the paytable. The paytable provides valuable information on all the payouts in coins for landing a specific number of identical symbols on an active payline. Usually, the most lucrative payouts are awarded to players who land five identical symbols on an active payline. You may also notice that some symbols offer bigger payouts as opposed to others. 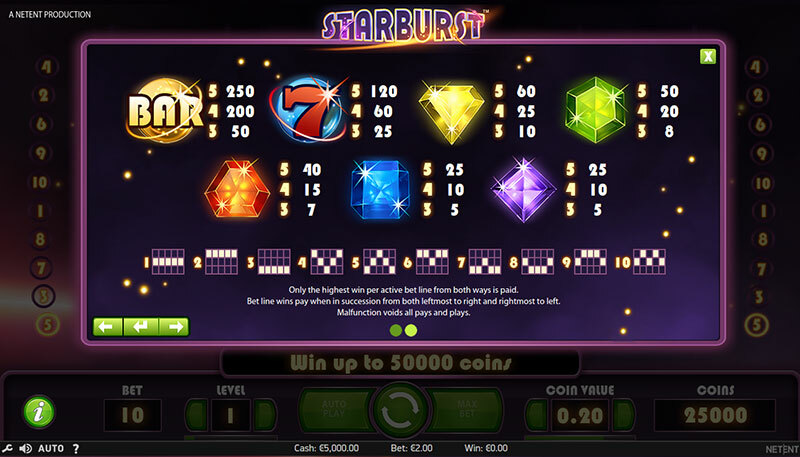 For instance, if you look at the paytable of the popular Starburst slot, it will surely strike you that five bar symbols appearing on an active payline pay out 250 coins while five identical lucky seven symbols will earn you only 120 coins. From this, it follows that there are higher and lower paying symbols, which also influence the payout you will collect. With many online slots, only the highest win per active payline is paid. Also, since the paylines are typically read from left to right, you may fail to collect a payout if the winning combination appears from right to left. Of course, it all depends on the online slot you are playing since there are games that pay out both ways. In addition to paylines, the paytable offers extensive information on how multipliers and wild symbols work in a given online slot as well as on how mini games and bonus rounds are triggered. Calculating the odds of winning at slots can be a mean feat, especially if you are unfamiliar with how this type of game works. However, it is far from impossible. The odds of collecting a payout are related to the number of reels and the number of symbols each reel contains. The individual symbols are sometimes referred to as stops that come to rest on the active paylines. It is possible to calculate the overall number of combinations by multiplying the number of stops or symbols on each reel by the number of symbols on the other reels. So if you play a three-reel slot and each of the three reels contains twenty symbols, the calculation will go as follows – 20 x 20 x 20, which is equal to 8,000 possible symbol combinations. Provided that a given slot offers a colossal payout whenever a cherry symbol appears on each of the three reels, your chances of collecting this prize can be represented in the following way: 1/20 x 1/20 x 1/20, which corresponds to a probability of 1 to 4,000. Using this method, players can practically calculate the odds of any symbol combination coming up as long as they know how many times the winning symbol appears on each of the reels. However, the outcome of the spins on advanced online slots is determined by Random Number Generators which means that the number of symbols or stops on each reel can often reach and even exceed 256. Thus, calculating the payouts would be far more difficult, if not impossible. The number of combinations on a slot with 32 symbols and five reels will exceed 3 million. Imagine what would happen if you were to calculate the number of combinations on five-reel slots with 256 stops per reel. The number of possible combinations would be rather imposing, to say the least! Because of this, it would be much easier for players to simply check the RTP (Player Return Percentage) of the online slots they wish to try out. Each reputable and legitimate online casino publishes the theoretical payout percentages of all the slots available in its gaming collection. What is more, this information is usually updated on a monthly basis. The theoretical payouts of all casino games, slots included, are typically expressed as percentages. All online slots are pre-programmed to return a specific sum after a given number of cycles or spins. In other words, the RTP reflects what percentage of the money players have wagered on the slot will be paid back over time. Let’s use the Starburst slot as an example again. Its theoretical RTP stands at about 96.10%, which means that for £100 wagered, players can expect a theoretical return of £96.10. Please pay close attention to the words “theoretical” and “expect”. Players, who ignore this wording tend to misinterpret the payout percentages and wrongfully assume that they will win £96.10 and lose only £3.90 per every £100 wagered on a slot like Starburst. But let’s be realistic here. Unfortunately, such reasoning often leads to massive disappointment on players’ behalf. Please note that while accurate, the RTPs published by online casinos hold true and can be attained only extensive periods of time where thousands and even millions of reel spins are involved. The return percentages will differ greatly over a few dozen spins and ten thousand spins, for example. So you cannot expect to bet £100 on a slot and lose only £3.90 of the sum in a few spins only. Nevertheless, the payout percentages can serve as indicators as to which slots have higher volatility and which titles have lower volatility. Note that volatility is yet another factor to consider when choosing an online slot to play. Slots with higher volatility (or variance) offer less frequent but bigger payouts, while those with lower volatility boast more frequent hits that pay out smaller sums of money. In addition, the payout percentage may indicate roughly how much the house edge for a given slot is. Let’s go back to the Starburst example. Since this slot offers an expected return of 96.10%, it will pay out of £96.10 over an extensive period of time and thousands of hits of the Spin button. What happens to the remaining £3.90? The answer is simple – it is the online casino that keeps this sum out of every £100 wagered on the slot. Therefore, we might say that the house edge for the Starburst slot is roughly 3.90%. The online casino continues to extract its “share” each time a player hits the Spin button and places a real-money bet. As a matter of fact, the more you play a given online slot, the closer the payout will get to the game’s published payout percentage, because the latter tends to get more accurate over many spins. Nevertheless, players can have their peace of mind as there are regulatory bodies that keep track of these payout percentages and ensure there is no foul play (excuse the pun) on behalf of online casino operators. The games at reputable online casinos are typically audited by third-party testing agencies, such as eCOGRA. The results of these audits are updated on a regular basis so you can always check the payout percentages of the online slots you are interested in and calculate roughly what built-in advantage the casino has over you and your fellow slot fans.